Privat Lakeville / Salisbury Converted Barn Walk til søen. Alle nyrenoverede laden i et roligt kvarter. Ovenpå stor åben stue / soveværelse med queensize-seng og fold ud futon. - nedenunder badeværelse og tekøkken. Rygning forbudt i eller på ejendommen og venligst ikke husdyr. Kabel-tv, kaffemaskine, brødrister ovn, internet (wifi) og dvd. Gåafstand til restauranter, vandrestier og sø (bylund). Tæt på ned ad bakke og langrend. 5 minutter til Hotchkiss School og Lake, Salisbury Boys School & Lime Rock Race Track. $ 150 depositum kræves (for at sikre rygning eller kæledyr og tilstand) og alle huslejer skal forudbetales. Adorable house. Every amenity was provided. Neat, clean, and attractive. Absolutely a place to come back to. Thank you for keeping it so well. Before writing this review, I went back to re-read previous comments. What impressed me most is that the hosts have tried their best to remedy every guests request, such as adding a microwave, providing coffee, adding an iron and hair dryer, and improving the bathroom mirror. There is no space to add a washer/dryer, so no fault there, but the host did let me know that there was a clothes line on the building’s side and provided us with clothes pins. The place was very clean and extremely quiet. It’s setting is like being in the woods; great privacy. The only caution I’d have for guests considering booking this is that the stairs to the bedroom and graveled walkway from parking area to front door requires that guests carry their luggage. That wasn’t a problem for us, but might be for some guests. Very comfortable and perfect for our weekend visit. we were in for the weekend for a wedding. Everything we needed was there. There is now a microwave, iron and ironing board, blow dryer and even coffee. The bed was comfortable and plenty of blankets. Sheets and towels were also provided. The TV didn't get many stations but we weren't really there to watch tv. The area is great with plenty of nice pubs and restaurants and even a nice beach just 5minutes away. I would definitely stay again!! Thanks Bill! Wendi- you were great guests! I hope you return some time soon! Beautiful little hut in a quiet area. Very close to the lake and restaurants. We stayed there with our 9 month old and it was just perfect. A comfortable, clean and quiet place to stay. My wife and I wanted a few days away in northwest Connecticut. Bill was great communicating and the place was nice and cozy. Quiet street and cabin back away from the house. Basic kitchen supplies made it easy to eat in when we wanted to. Thanks for a great experience! It was perfect for what I needed this week! I was in the area picking up a child from an area boarding school so I was in and out a number of times over the course of my stay. The accommodations were perfect for me. 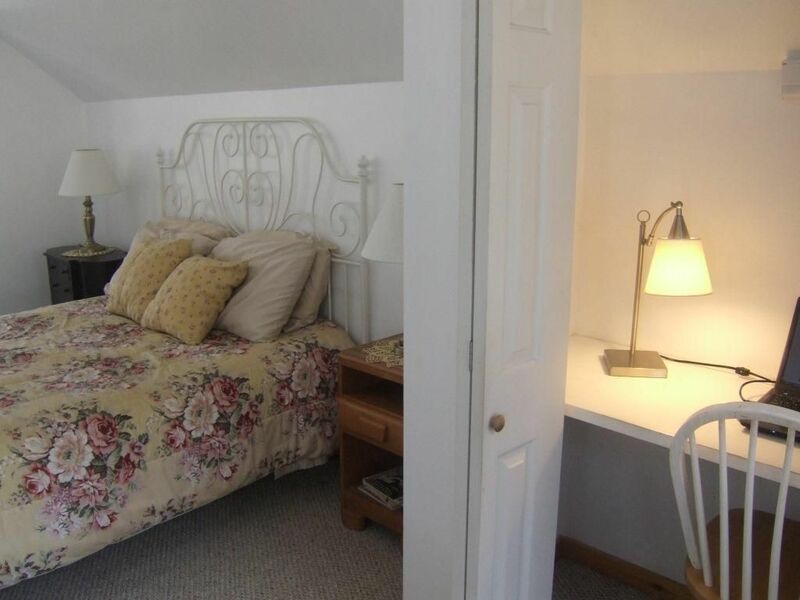 The guest house is a charming and clean, plenty of light, and I felt safe coming in at night alone. My only recommendation is a larger mirror in the bathroom - or one you can actually use to put on makeup, etc. The countertop space is wonderful, but because the mirror is pushed so far back, these old eyes couldn't see much! So happy this property was available for my stay - I hope to be back.